One of the better early PlayStation games. 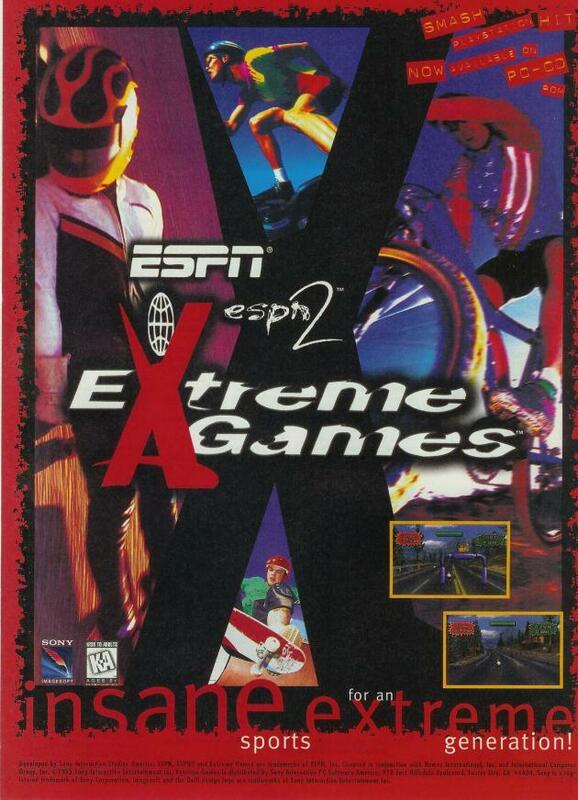 ESPN Extreme Games is a racing game based off the then new ESPN X-Games competition, which debuted in 1995. The game predated the whole trick/combo based extreme sports style gameplay best implemented by Tony Hawk’s Pro Skater – it actually shares a lot in common with Road Rash. It was later re-released as 1Xtreme after the ESPN license expired.